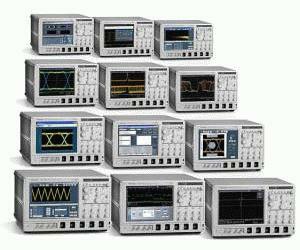 Six new models have been added to the DPO/DSA70000 Series with a record-breaking 20 GHz bandwidth in the DPO/DSA72004. The DPO/DSA70000 Series are the new generation of DPOs and provide you the best solution for signal integrity issues in verifying, characterizing, debugging and testing your electronic designs. The specialized DSA70000 models provide you a complete and dedicated solution for your high-speed serial designs challenges. The family provides exceptional signal acquisition, comprehensive analysis and compliance tools, is simple to use, and the 12.1" display screen is the largest in the industry.